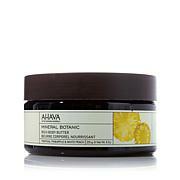 Love everything about this lotion: it goes on like silk, smells great, and is extremely moisturizing. More than likely, this item will be a repeat purchase. LOVE. I didn't realize how dry my skin really was, until I started using the the bath cream and lotion. This lotion really soaks in, no greasy residue on your hands. A light, tropical fresh scent throughout the day. I never want to be out of it!! I love love this lotion...The scent is very light....It is very moisturizing and not heavy...It has really helped my very very dry skin....I'm hooked!!! This is a 10 star body lotion. The scent is fresh and not overpowering. 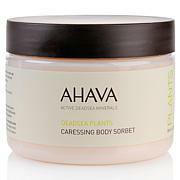 This is my first Ahava purchase but won't be my last.